The general ideas and conclusions remain qualitatively valid. This means that quantitative changes are limited to the range 24-50 m.
As you can see changes are outside the area OHK. 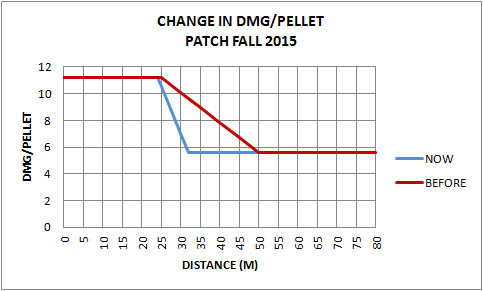 No changes for small number of pellets and a reduction of probability (very small, when previously was 4%, now is 0% - 32 m.) for 21 pellets. The conclusion is that the shotguns are still effective in its natural range of use (0-25 m), 66% of the engagements according Miffyli kill distance data. This is the change on average, but previously you needed (at 35 m) betwen 1 and 5 shots (2 on average), and now you need betwen 2 and 6 shots (3 on average) (probability 95%, +/- 2* standard dev.). 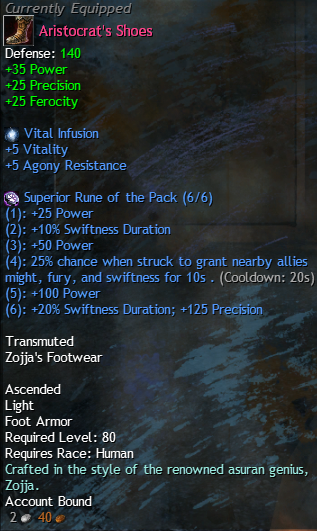 That means that now you still can kill with 2 shots, but with a lower probability. For shotguns with low number of pellets (ie 12) yo nedded too many shots to kill outside of the optimal range (surely you lost the target or the target killed you), and now you need too many+1, that is, too many shots too. With this change the subjective perception "someone has killed me with one shot at 50 meters" (numerically impossible) will be less frequent. Although if he forgot that was running with 10 of life may continue believing. Conclusions on the effect of chokes, darts, defensive perk etc., understood as a horizontal displacement of the curves in distance or the reduced area of the body where the full effect occurs remain valid (more or less). I do not know if the fact that no one has answered the post is because everyone agrees with the conclusions or because no one has read the thread. In any case, the number of shotguns in the game has decreased considerably. Psychological effect of the announcement of nerf? Do you feel that shotguns are weaker now? Perhaps the numbers doesn`t explain everything. Can you provide data when using a full choke? This is the most interesting case, because the issue was unintentionally high damage above 25 meters when using full choke. As written in the previous post the effect of the full choke is like moving horizontally damage curves 5 meters further (approx), giving an increase of damage of about 20% to a specific distance. 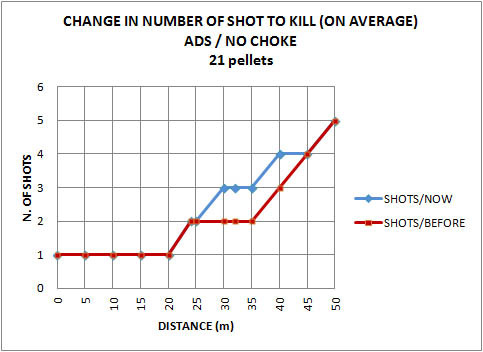 This is true if we are not very close (if all pellets are within the chest -naked-, full choke doesnÂ´t give any improvement) and if we are not very far (if the pellets are separated 2 meters on average only one can hit, on average too, and nothing changes if we concentrate them to 1.5 m.). This remains valid because it depends only on the geometry of the dispersion not on the damage model. the damage for a specific shotgun is proportional to the size of the circle of dispersion (aprox. ), regardless wich are the number of pellets and unit damage. This means that a shotgun (naked barrel) at 15 m will behaves like that shotgun (full choke) at 1.33x15 = 19.95 m, ie the 5 meters showing in the probabilistic study. Nothing to do with the subjective perception " he killed me with just one shot at 50 meters". just a short question, do shotguns have now 12 or 21 pellets with the latest changes or have they still 15 and 18 as well as you had in your graphs of your older thread? Shotguns have a variety of pellet counts. He's just only done the 12 and 21 pellet graphs. As Zer0Cod3x said, now shotguns have 12, 13,18 and 21 pellets. I give only the extreme values for better clarity of graphs. Just played some rounds with SPAS-12. Is almost as unreliable as it was before Shotguns buff. Or the penalty for being slightly off target has increased. Or the Auto-Aim fooled me. Could be all of it, but I hate Pump-Actions again. Should've mastered them before the patch, but I just managed to tick off all the semi-autos, as I didnt know how hard they are going to be hit by nerfs. why would you use the spas 12 over the 870? There is literally no reason to.... besides the fact it look boss. One more bullet in the tube, and less recoil.